A new gene-editing tool that can precisely ‘cut and paste’ DNA to remove segments that cause disease or insert pieces that promote health benefits is, some scientists believe, as important a scientific invention as the microscope. Scientists in Ireland are part of the what’s being called the CRISPR revolution and many biological researchers are using this technology has the potential to change the world. From the ground-shaking discovery of the double-helix of DNA by Watson and Crick in 1953 so much followed in the years, and decades since. We have learned how DNA passing from one generation to the next, how it transmits signals to the cells, and the body, and how, when DNA building blocks get laid down in the wrong way, that it can cause sometimes deadly genetic diseases. We are now at another historic moment in biological science, because scientists have in their hands a tool, which enables them to precisely manipulate DNA in a way that was never possible before. This tool is CRISPR and some scientists predict it could lead to the end of all genetic diseases, and perhaps even the eradication of all diseases, whether genetic or not. Luke O’Neill is a professor of biochemistry at Trinity College, and one of the world’s leading immunologists. He is using CRISPR to study specific genes in the immune system, to change them, or modify them and see if they are important. Breandan Kennedy, is a professor at the School of Biomolecular and Biomedical Science at UCD. He is using CRISPR to try and correct vision loss, blindness due to faulty genes and even non-inherited forms of cancer. 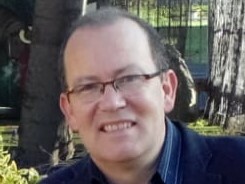 Dr Niall Barron is based at National Institute for Bioprocessing Research and Training, or NIBRT in Dublin. He is using CRISPR to make the manufacture of highly effective, but expensive biologically-based drugs such as Enbrel made by Pfizer in Dublin and Humira, made by Abbvie in Sligo. Both are used to treat rheumatoid arthritis. Meanwhile, at Our Lady’s Children’s Hospital, Crumlin, Dr Terry Prendiville, a consultant paediatric cardiologist, is using CRISPR, along with colleagues based at NUI Galway, to try and repair inherited cardiac defects in children. Dr Prendiville points out that it could be some years before CRISPR can be used to help repair the hearts of children with inherited defects. CRISPR is described by Luke O’Neill as being as important to science as the invention of the microscope, and it has the potential to eradicate many of the debilitating and deadly diseases that are today considered incurable. Next Human space exploration: Is it worth it?